I am a full stack freelance developer based in Brighton. I make rich web and mobile applications using Django or Node.JS on the server-side, React on the client-side and React Native for iOS and Android apps. I also build hardware systems using Arduinos and other microcontrollers. Tom is a rare individual, an accomplished programmer and teacher of the art and science of programming. Tom has a gift for grappling with abstract problems and finding elegant, logical solutions. He is the kind of person who will learn a new programming language for the sheer joy of it and then understand how to put it to good use in practice. While firmly an intellectual, Tom always brings a sense of fun and play into his work. I have brought him on board a number of web development projects that I've coordinated and also taught alongside him in workshops, and I would wholeheartedly recommend him for this work. 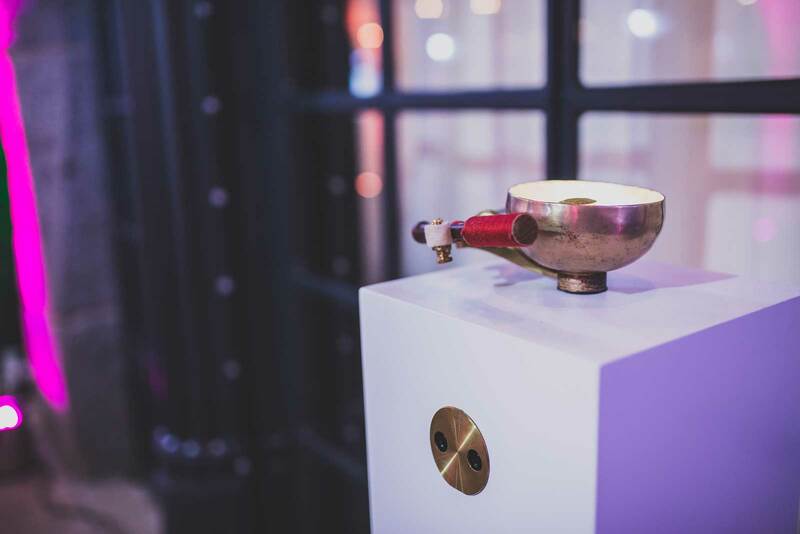 Best Coffee is your trusted guide to the global speciality coffee scene. 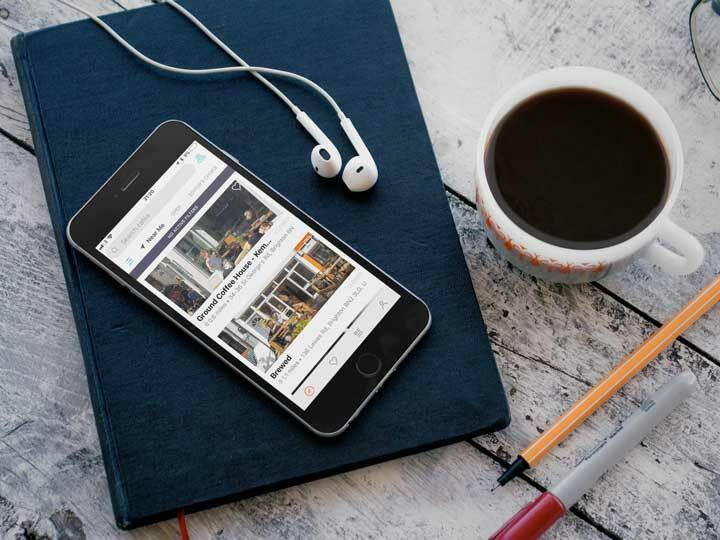 It knows that you value your time and your money and will show you at a glance all the cafés near you that serve coffee worth seeking out. In my experience of hiring freelance developers, Tom is an extraordinarily rare breed. He's an absolute pleasure to work with and delivers creative yet rock solid work on time, without fail. There'll be no emails on the evening of a deadline announcing that something isn't working and no infuriating I've-disappeared-off-the-face-of-the-planet radio silence either, he understands how to work with other human beings. It's great to have found someone who can help me realise some of the more out there ideas that I've had and if you ever wander beyond the bounds of his incredible intelligence he'll have the humility to say so and recommend others to work with. Reassuringly expensive and with a remarkable brain... don't hire him, I need him. Working with Tom has been a pleasure. Turnaround is quick, and Tom's programming ability makes things as simple and clean as they should be. He makes sure to cover the bases, and makes things manageable for the non-technical individual. He's also willing to talk, in-depth, which I found to be incredibly helpful; making sure that we were both on the same page. 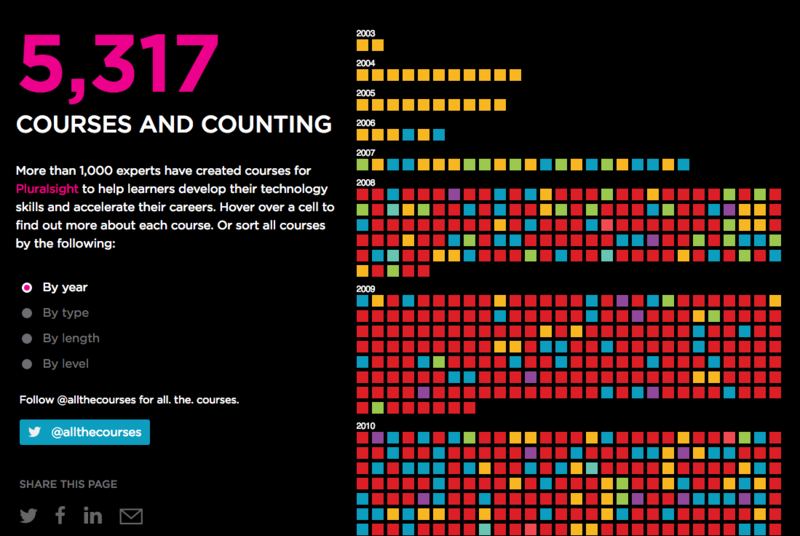 Pluralsight wanted an interactive visualisation to celebrate their milestone of 5,000 courses available to students all over the globe. They wanted to represent each course as a box, and have them simultaneously change with user activity. I used D3.js to develop the core of the visualisation but then rendered to canvas to support the huge number of items. Check out the live result on Pluralsight. I also wrote an article for Pluralsight about using Canvas with D3.jS. Tom is a pleasure to work with and is highly dependable. He quickly delivers excellent quality work, often ahead of schedule. 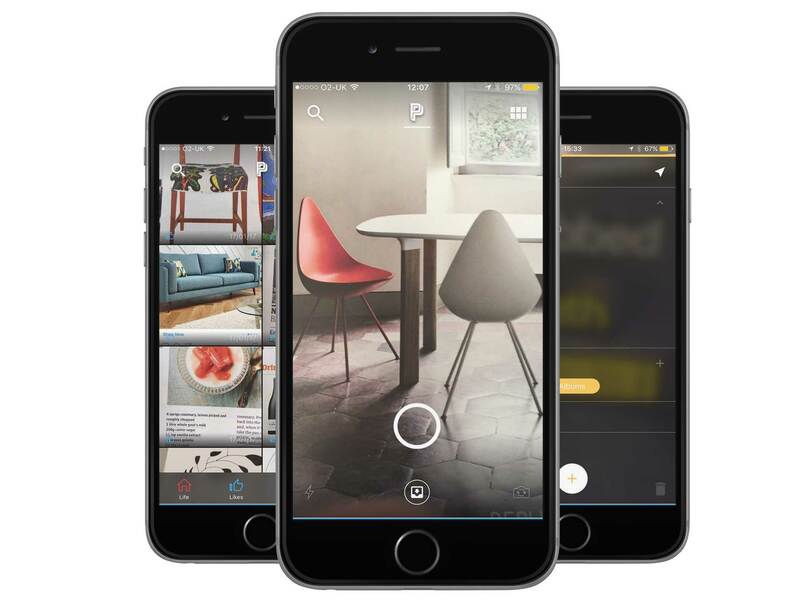 No memos, voice notes, just take a picture of what you want to remember. 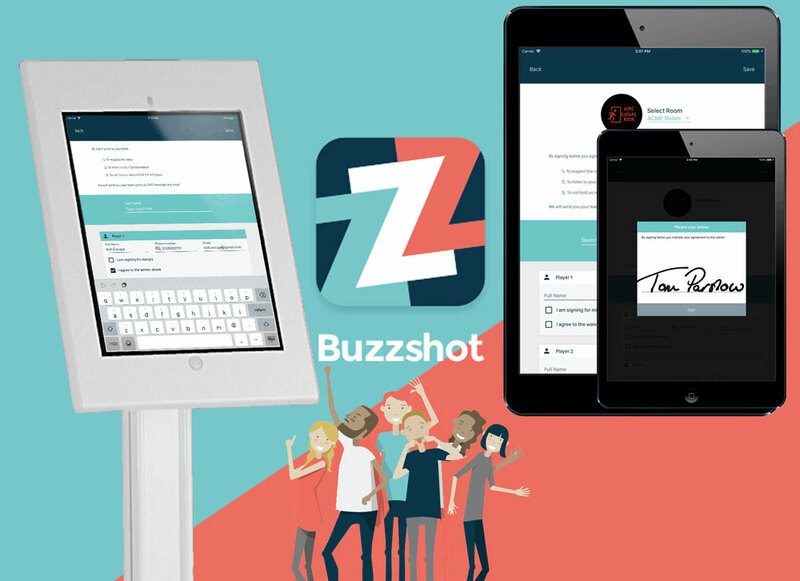 Faster, quicker and more intuitive than text memos or voice notes. You take your photo then sort with categories, add tags, set reminders. Working with designer Olly Thomas I was able to rapidly build PIFL using React Native, initially for iPhone but coming soon to Android. You can download PIFL from the App Store now. as easily maintained as a Model T Ford. 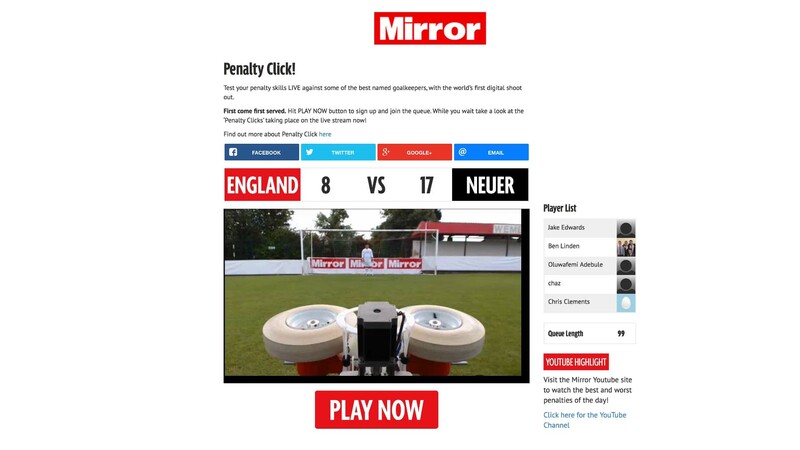 Based on Citizen Relations' brief, and working with Uberact and Ten Hertz, I designed and built a system for The Daily Mirror's website to remotely control a penalty-shooting robot (built by Ten Hertz) while watching it on a live video stream. Players could take a penalty shot against a real goalie. You can see a video of the machine in action on YouTube.